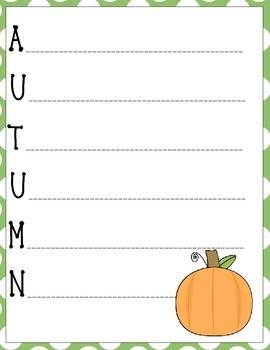 Foster student creativity by writing acrostic poetry about this most wonderful time of year - autumn! Start each line of the poem with the letter printed. Single words, short phrases or descriptive sentences can be used by your students to create a Halloween feel! Print in color or black and white to decorate a bulletin board, hallway or create a class book.